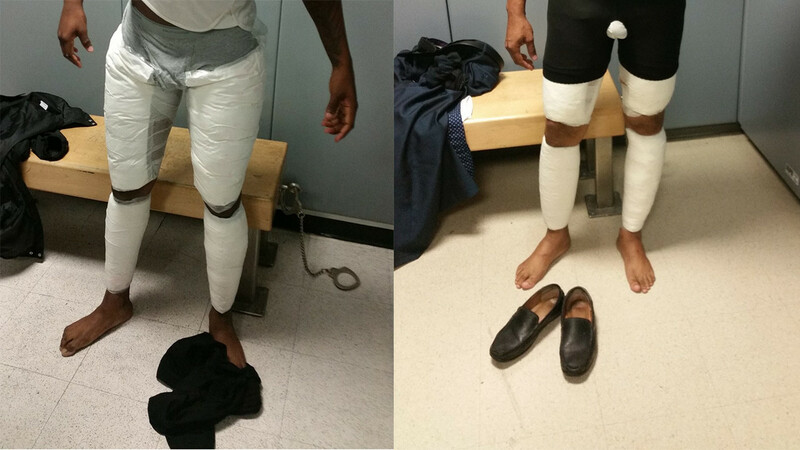 NEW YORK, New York (WABC) -- Authorities say two travelers were arrested at JFK Airport for attempting to smuggle cocaine into the U.S by taping packages containing the drugs to their bodies. Customs and Border Patrol (CBP) officers in New York say U.S citizen Ariel Garcia and Dominican Republic citizen Elvin Montilla-Sosa arrived on the same flight from the Dominican Republic on April 19. The men were taken separately to private search rooms for inspection, when officers discovered packages taped to their legs and backs. Officers say Garcia's packages contained 11 pounds of cocaine with an estimated street value of more than $180,000. Montilla-Sosa's package allegedly contained about 12 pounds of cocaine with an estimated value of more than $200,000. The suspect were arrested and turned over to Homeland Security Investigations. Both face federal narcotics smuggling charges.